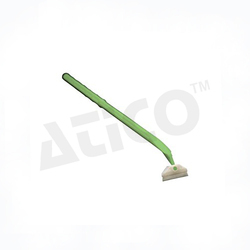 - Cell scraper provides an excellent option for cell scraping purposes in microbiology. scraping purposes in the microbiology. - Special developed to make the process of scraping off and collecting cells more easier and effective. 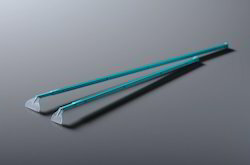 - Cell scrapers for cell harvesting are available in two lengths. - With adjustable blade for optimal application flexibility. Changes of the blade angle of the TPP cell scraper require slight pressure on the handle using the forefinger, thus pushing the handle downward towards the floor of the container. Slight rotation of the handle will then cause the blade to twist to the desired direction.